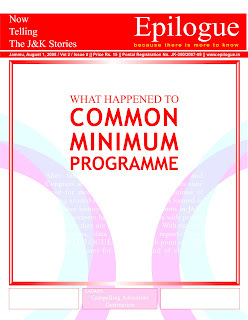 The coalition government peoples PDP and the Congress had come up with a Common Minimum Program at the time of its formation in 2002. When the government fell down in July 2008 after a bitter acrimony between coalition partners, they went out without leaving a report card on their performance. 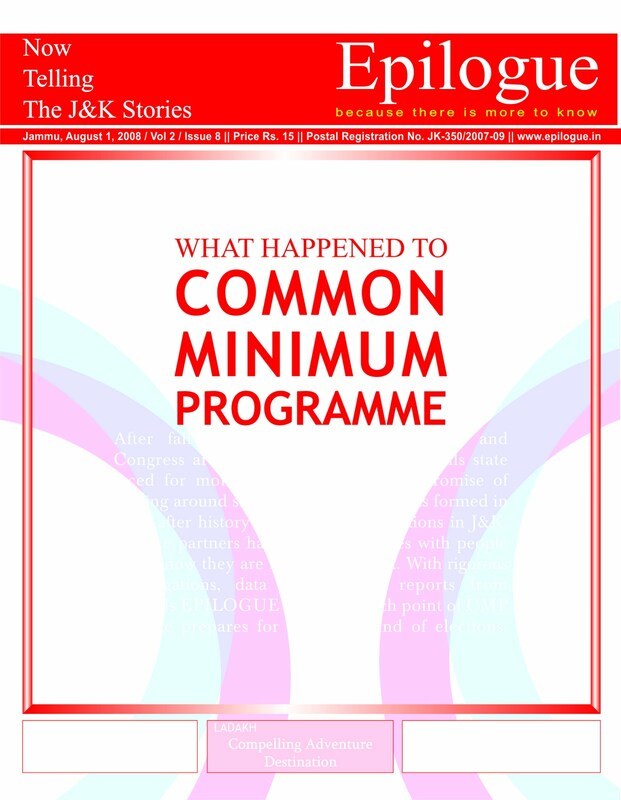 Epilogue brought out a point-wise examination of all 30 points contained in the CMP of governance and concluded that the pledges were forgotten.